This in memoriam of Dave Kent was originally published in the winter newsletter of the Nova Scotia Association for Community Living (NSACL). Republished with Professor Kaiser’s kind permission. 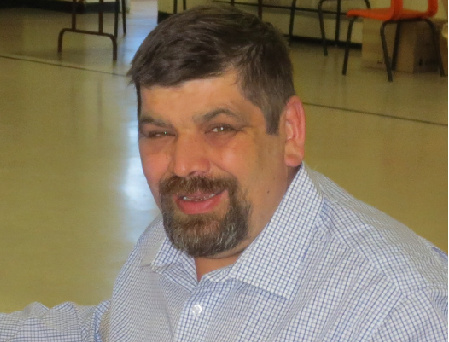 The sudden death of Dave Kent was a heavy blow to his loving family, to his wide circle of adoring friends, to his fellow members of People First Nova Scotia, to those who advocate for the rights of persons with disabilities and to the community at large. I was fortunate to get to know Dave in several contexts where he was always the same, passionate, principled, brave, honest, decent, caring and good-humoured. During his term as member and then later as President of People First Nova Scotia, Dave was an extraordinary spokesperson especially for people labeled with an intellectual disability, but also for other groups who have been stigmatized and marginalized. For example, Dave gave a forceful and moving presentation before the Law Amendments Committee in the Legislature, concerning the Accessibility Act, where he made its limitations plain and showed how it was unacceptable in its then form. He made similar contributions to improving the Adult Capacity and Decision-making Act, both in committees considering the legislation and in the media. He never gave any ground and he demanded that he and others like him be treated with dignity and that their rights be respected. Dave came to my classes at the Law School several times, where he inspired the students with his nuanced awareness of human rights issues and his determination “to continue the fight until his last breath” , a statement he made when he was part of a panel in my course the day before he died. Dave was fully committed to ensuring that people with disabilities were properly served by public institutions. I attended a meeting where he informed high-ranking police officers about discrepancies in their knowledge and limitations in their service to people with disabilities. I know he made similar efforts to improve other organizations, such as Marine Atlantic. While he was President of People First Nova Scotia, Dave put the organization first, above his own interests, but he had an incredible ability to both speak to the members and defend their interests. He and I did a couple of shared educational sessions on new legislation at annual general meetings of PFNS. He had avidly learned about the law in advance and criticized it stridently in front of the members. In every setting where I met him, I witnessed his positive interactions with others and his enduring contributions. Dave gave his all in the service of others, but did so in a manner that showed respect towards everyone, even as he denounced the way society had treated him and his peers. Dave was a true hero who fought the good fight with spirit and determination. Even when he was justifiably angry, he still drew others in and showed that life could be fun. He made a lasting contribution to Nova Scotia and beyond, but he left us far too soon.